TRAVELING TO SWIM WITH US FROM FAR AWAY? We are thrilled that you are making the trip to swim with us to achieve lifetime swims like Alcatraz! Our city of San Francisco is a beautiful place and we hope you forge amazing memories here, both in and out of the water. Here are some tips to help you plan your travels and take out some of the worrying and questions! San Francisco is a walker's heaven! Many locals get by on foot or bike, taking advantage of the city's endless scenic charm and pedestrian nature. Rent a City Bike or from Blazing Saddles, or just wander around on foot. But options with four wheels or rail are good too! Renting a car can be useful, especially if you are staying at a hotel that includes parking facilities. If gives you the freedom to explore the city and drive down famous Lombard st, across the Golden Gate Bridge, through the beautiful Presidio, and more! However, be aware that street parking in San Francisco is notoriously expensive and often very hard to find. You will have to rely on parking lots in most parts of the city, which can run up to $50 for flat rate parking for a few hours, and do a lot of walking. Thankfully, if you're not interested in renting a car, there are plenty of stress-free options to help you get from A to B. We ran a survey among our traveling swimmers to determine their travel habits when they come to town for a swim. Here's what we learned from them. BART is the Bay Area's train network. It is about $8.40 to come from the airport into San Francisco. It won't take you to many parts of San Francisco itself, but it is the cheapest trip to and from the airport. FROM SFO Take any train from the airport to the city - check the map for your stop. For reference, Powell St. Station is closest to Union Square. FROM OAK Take the Daly City line train right into San Francisco. It is a visitor's rite of passage to take a cable car! Few San Franciscans take the cable cars as they are slow and expensive ($7 a ride) but they are a novel way to see iconic parts of town. Buses and the metro (trams) at $2.75 a ride are the cheapest way to get around town, and can often be the most convenient. If you wish to take MUNI, use Google or 511.org to plan your trip. Fares can be paid on board (exact cash amounts only), or ahead of time by loading a Clipper card, which is reloadable and can be purchased and loaded with cash value at any Walgreens pharmacy (generally always within a few blocks of you). It can be swiped to pay for MUNI, BART, CalTrain, and more. Hated by cab drivers but loved by many San Franciscans, taking an Uber or Lyft can be less than half the price of a cab with the fee paid automatically from a credit card. Try the pooling service and it probably won't cost much more than a bus ticket. They run at all hours - including at the early time you'll need to get to check-in - and you can be picked up from anywhere. Just download the app, enter credit card info, set the pick up point, and go! Cabs are a novel sight nowadays with the prevalence of rideshare services. While most cab drivers technically take credit cards, don't be surprised if the cab driver denies you a ride because you don't have cash. The fees the drivers must pay to handle credit card transactions are high and many will avoid them. To and from SFO will cost you about $60-70. OAK may be higher depending on bay bridge traffic. The neighborhoods/districts closest to our swims are the Marina, North Beach, and Fisherman's Wharf. Popular choices for swimmers include the San Remo Hotel, The Argonaut, the Holiday Inn Fisherman's Wharf, the Courtyard San Francisco Fisherman's Wharf, the Travelodge, and the Best Western. Bonus tip: Pick a hotel with a hot tub! Swimmers who have picked their hotel with one have enjoyed the hot soak after their swim. VIEW HOTELS ON A MAP! Check out some pre-marked hotels on a map here. Our boats/meeting location is also marked for reference, and you can turn on the Cafes and Restaurants layer to see where food is at. We love the San Remo Hotel, with discounts for swimmers! Coming from out of town to swim in one of our events? The San Remo Hotel will give you a 20% discount! Call them before you book for details and to redeem. We love the San Remo - while not as modern as other hotels, it is highly reviewed, very clean, and walking distance to your swim. From their website: "With welcoming a staff to greet you and a great restaurant downstairs to make you feel at home, the San Remo Hotel is San Francisco’s best kept secret... Located between North Beach and Fisherman’s Wharf, we are nestled in a quiet neighborhood, just minutes from the Cable Car and mere blocks from many favorite San Francisco attractions. We offer a unique “old world ambiance” while being located right in the heart of the city." We stayed at an Airbnb apartment in the Marina and loved it. We walked everywhere including downtown Marina and Fisherman's Wharf. My wife and I stayed at the Argonaut. Perfect location but VERY expensive. I figured what the heck this one time and loved being able to walk out the door dine, a few steps to aquatic park and not far away from where to catch the boat. The Argonaut-great hotel, perfect location for any WaterWorldSwim event! I stay with friends or at the San Francisco Airport Sofitel or Aloft, usually you can get good rates and I drive up the night before so it's not hard to get to the swim in the morning with my car. I have stayed at the Holiday Inn San Francisco- Fishermans Wharf. It was a lovely stay! Get a good meal in before your swim! San Francisco is one of the great food capitals of the world, with world class restaurants from Zagat-rated and Michelin-starred eateries to quaint cafes and classic local bistros. Nearly every San Francisco neighborhood is a whim away from satisfying those carb cravings. Many swimmers love staying in North Beach not just for early early morning swim access, but also for the proximity to numerous Italian and seafood restaurants. In your hotel, make sure some kind of breakfast is available early, or do like many of our swimmers and pick up a banana and instant oatmeal you can enjoy simply with hot water in the morning. Here are some recommended eateries to load up on that big dish and more! We ran a survey among our traveling swimmers to determine their travel habits when they come to town for a swim. Here's what we learned from them about the top 4 restaurants. My favorite restaurant in San Francisco is called Franchinos. It is on Columbus Ave in North Beach. Very small and intimate but casual Italian food run by and old married couple. Mama cooks. Papa sings. The daughters wait the tables. The pappardelle pasta is the house speciality. The tiramisu and cannoli are home made also. I strongly recommend a reservation but they do take walk ups. Any restaurant by the North Beach area (Italian) is carb heaven. I like The Stinky Rose, where your carbs come with a heavy dose of garlic. One of the locals favorites. Empanada truck on Taylor street near Aquatic park; check out Polk street as it has a variety of places to eat and ethnic food choices. As swimmers ourselves, we know some hot places to get your swimming fix! Our swimmers also chimed in with their favorite things to do. From gear to swim spots, here are some cool things to do while you're in town. We asked swimmers: What would you recommend a swimmer visiting San Francisco for an Alcatraz or other swim do or see during their stay? 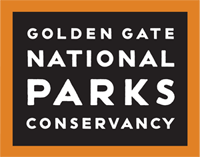 Go to Golden Gate Park, take in some of our fabulous museums and I love the walking tour from the Ferry building up the stairs to Coit Tower, Little Italy, Chinatown to Union Square, Cable car ride to Pier 39. Come down to Santa Cruz and swim at Cowell Beach, there's no algae beard! Enjoy the cultural diversity of the Bay Area, definitely check out Galeria de la Raza and the Mission Mural Tour, as well as Mission Dolores. Swimming in Aquatic Park is a wonderful swim and so beautiful! A must for me. Sports Basement, WHAT A STORE! Sports Basement is the ultimate wonderland of sporting goods! Stop by the Presidio location at 610 Old Mason Street to stock up on everything - goggles, neoprene caps, clothing, camping gear, and more! You can also rent wetsuits and bikes while you're shopping. You escaped from Alcatraz... now visit it! Swimming Alcatraz is one thing - but you should visit it too! It is a must see during your visit. Adults will love its incredible audio tour (seriously, this is not your average boring audio tour - don't miss out!) and kids will also love the hands-on exploration of this notorious landmark and its rich history. It was once a military fort during the Civil War, too! Book your tickets and enjoy. Our beaches are clean, beautiful, and free! Jump in the waves of the Pacific by going down to Ocean Beach - more than two miles of public beach with tons of parking - or Baker Beach, with a stunning view of the Golden Gate Bridge and the Pacific at the same time. Dogs are welcome! Get reservations ahead of time to enjoy good discounts San Francisco hotels get occupied real fast. Figure out a light breakfast and where to get it early in the am. We couldn't order early enough at Argonaut but room service delivered oatmeal for us early enough prior to the swim. Bring a wetsuit and warm up with an Irish coffee from the Buena Vista after your swim! 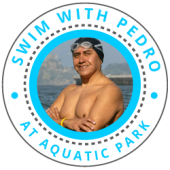 Make sure you give yourself time for a training swim in the Bay.. either through a separate trip or just a day or two before at one of the Alcatraz clinics or Swim with Pedro practices. You definitely don't want your first experience with the wild San Francisco Bay waters to be when you jump off the boat to start your race! Enjoy - It's a pretty special place. Try to stay an extra day or two. San Francisco is such a unique and diverse city, and there is so much exploring to do! Water World Swim is not associated with or sponsored by any of the services or businesses listed on this page except for The San Remo Hotel and Sports Basement. Water World Swim is not responsible for your interactions with any businesses listed here.